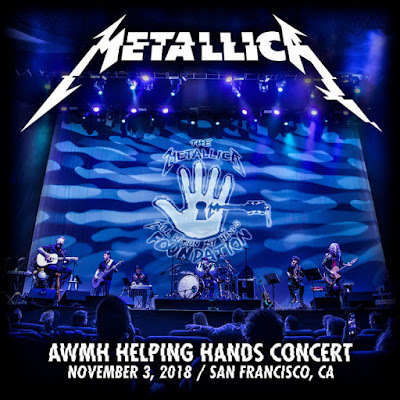 Metallica are streaming video of a rare acoustic performance of their 2003 track, “All Within My Hands”, during a November 3 benefit show at The Masonic in San Francisco, CA. Recorded live at the All Within My Hands Foundation Helping Hands Concert & Auction, the clip sees the band accompanied on the closing song from “St. Anger” by Avi Vinocur on mandolin and background vocals, David Phillips on pedal-steel guitar, Henry Salvia on keyboards and Cody Rhodes on percussion. “Wow, what a night!,” says Metallica. “Thanks to all of you and our generous sponsors, our inaugural Helping Hands Concert and Auction held in San Francisco raised over $1.3 million! Those funds will be used to work with our partners at Feeding America and the American Association of Community Colleges as All Within My Hands continues to tackle the issues of hunger and workforce education and work to create sustainable communities. “Celebrating the first full year of All Within My Hands, the event was hosted at the very intimate SF Masonic and we were lucky enough to have our friends Cage the Elephant join us as we both performed acoustically. The bidding wars were furious for the auction items on display online and in the lobby of the Masonic as there was a wide variety of unique experiences and unusual memorabilia,” including the instruments Metallica used for the live acoustic set. 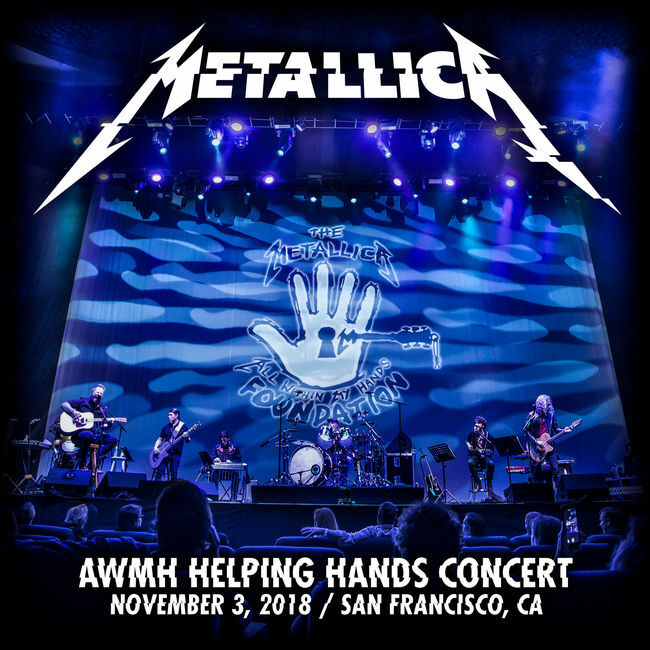 Audio of Metallica’s performance is now available on both CD and digital download with all net proceeds going directly to the All Within My Hands Foundation – for full details, visit livemetallica.com. Metallica’s foundation recently donated $100,000 toward wildfire relief efforts in their home state of California. The band are set to resume their North American tour in Las Vegas, NV on November 26 before wrapping up their 2018 live schedule in Fresno, CA on December 9.